Discussion in 'Effects, Pedals, Strings & Things' started by Wanana, Apr 21, 2016. 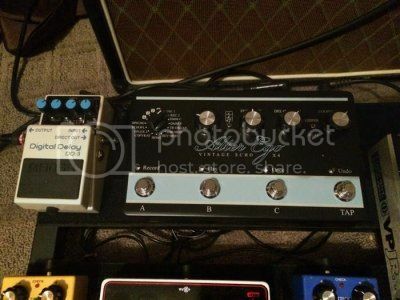 I'm considering buying the Mooer Ensemble King. I just dislike the white big knob in the middle. I would like to replace it with a standard Boss knob like on the ce-2. Are these knobs universal in size of the shaft? 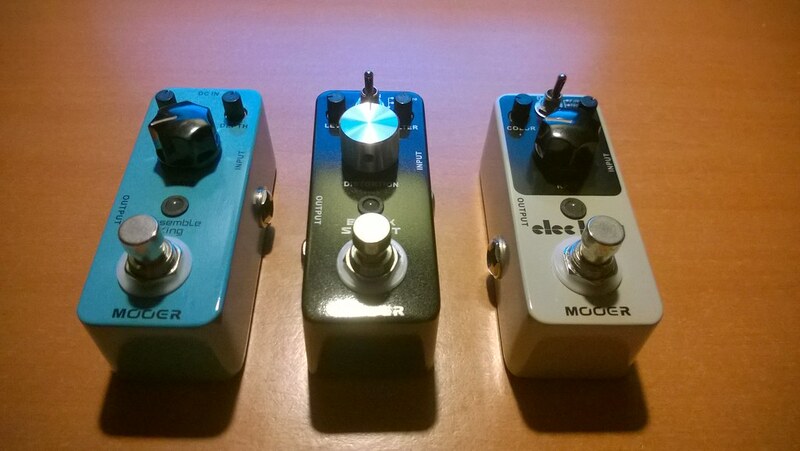 Mooer uses the D shaft push-on knobs I think, but you can use any normal "screw" knob as well. I put an silver alu, on mine. MXR style knobs look nice as well... Actually almost anything is better than the stock knobs. tdump, Black_Label, Madame Clapotis and 1 other person like this. Can you just pull off the knobs? I've tried to do so gently, but for now they didn't come off. Yes, you just pull the original knobs off. Put a guitar pick under them or something like a shoelace. This should make it easier. I've have new Boss style knobs from Mammoth Electronics waiting for my incoming Alter Ego x1. I'll stick them on before I stick the pedal on the board. I did the same exact thing to my AEx4 before I sold it. The x1 will look just as awesome. I'm seriously considering changing ALL my knobs to the same style. However I love the MXR style too and I have two of those pedals so I may go a 50/50 ratio. First world problems. Good timing with this thread. I'm thinking of changing the TC Alter Ego 2 knobs to cream or white or something. I've been at mammoth looking around but it's hard to tell which size knobs would match.